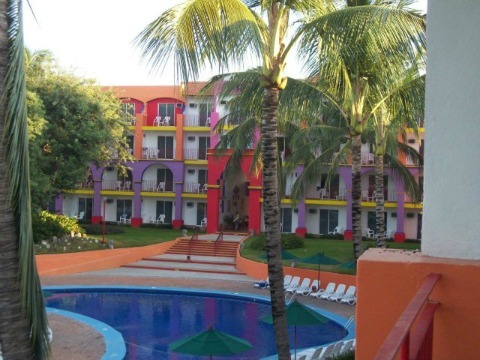 Before booking at the Royal Decameron Puerto Vallarta, be aware that there are two of these family resorts here. There is The Complex and The Los Cocos. Both of these are all inclusive resorts but they are in two totally different places. Both of them offer a much different experience. So make sure to look into both and get the one best suited for your needs. Let's start with Los Cocos, it is located approximately a fifty five minute drive from the International Airport. This is a much smaller resort than its sister resort. Nestled in the tiny fishing village in Guayabitos, Nayarit, Mexico. Just a bit past the great surfing at Sayulit. This resort is more off the beaten path with only 240 guest rooms. 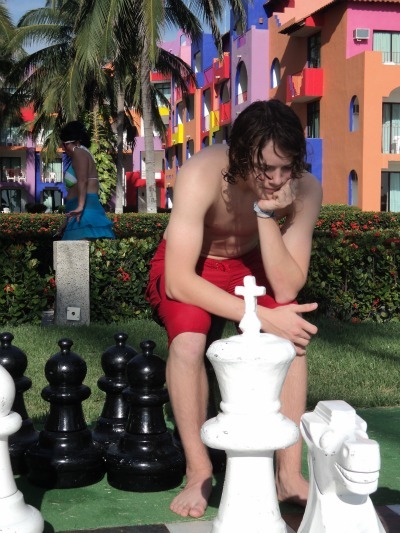 What sets this resort apart from the one in town besides it being much smaller? They do not allow spring breakers. Their Bay of Jaltemba has beautiful, clear water which is safe to swim in. Los Cocos offers unlimited local cigarettes, pedal boats and a catamaran. You can get here by taxi, bus or rental car. This resort suits people looking for great service at a quieter location. The Complex has 620 guest rooms, five pools and five specialty restaurants. To help speed up check ins and outs they have two front desk areas. Lots of big tour groups visit this resort and they are prepared for mass check ins and check outs. Not everybody here speaks English so you might want to learn some Spanish phrases before you go. This is a gigantic all inclusive resort and I am not kidding you. Even after being here a week you will still be finding new stuff and areas. It took us a week to find the second gift shop. They set up a cute night market around pool number one and lots of cool trinkets to barter over. 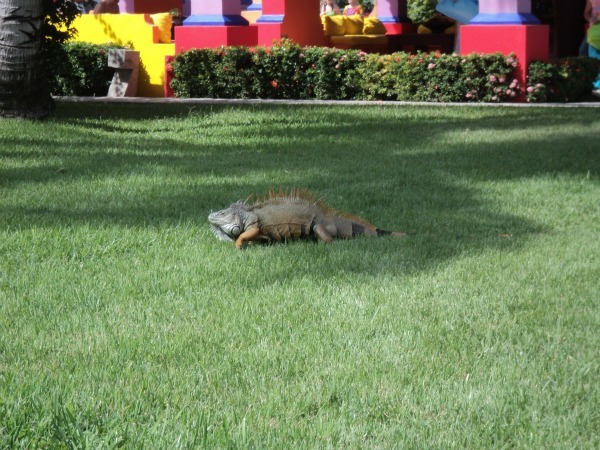 Seeing the iguana feeding behind Block four is a must do. Even if you are a tad afraid of them as I was, I found out that they are just as afraid of you. This is the kind of resort you never have to leave if you do not want to as its size can keep you busy all day and night.